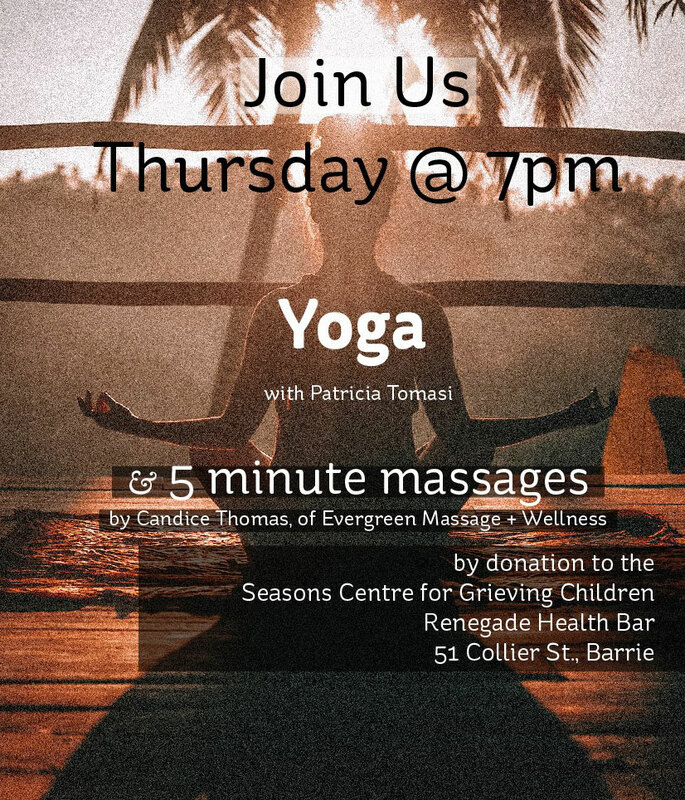 Come start off the new year on a healthy note and check out Barrie’s newest health destination with healthy, yummy food and light, relaxing yoga! Make it your Thursday regular hot spot all winter long. All proceeds are going to The Seasons Centre for Grieving Children. Full information on the event can be found here.